The coming month will also display more about Te Te Craft beer, Barett and Thomas Brewery and Homie Brewhouse. Later on in April, they will all be listed in the Complete Beer Guide to Vietnam with 20 craft breweries and more than 40 local micros. 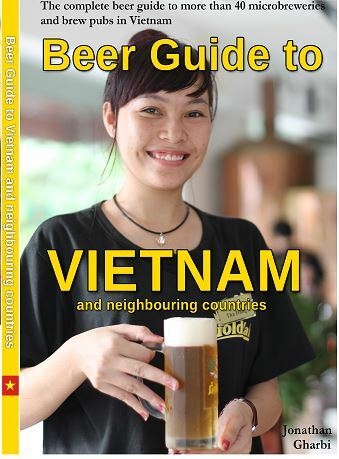 The publishing of the book Beer Guide to Vietnam by Jonathan Gharbi will be followed by a updated edition in end of 2018. It was great to see Furbrew, Barret Craft Brewery and 7 Bridges Brewery open in Hanoi while East West Brewing Co, BiaCraft, Pasteur Street Brewing, Platinum, and Lac Brewing opened in Ho Chi Minh City before new years eve 2016. Is there only newcomers in Vietnam? Yes, this is the place to be for entrepreneurs and adventureus brewers. The market is booming and changing rapidly. Platinum and Pasteur Street Brewing started in 2015 and are now the old ones. Germans with their 500-year-old-breweries will off course disagree with the term old. There are many new tap rooms and craft beers in Ho Chi Minh City while its moving a bit slower in Hanoi. The next thing to happen is to see a craft brewery open up somewhere between theese two cities. Maybe Mui Ne with lots of beer places and already has one of Hoa Viens microbreweries or Da Nang / Hoi An which is a popular tourist destination for both domestic and international tourism. There are also new beer importers and breweries such as Bach Brewing from New Zealand are selling their craft beer in Vietnam. Furbrew made about 25 different beers in 2016 and are planning to make 25-40 different beers in 2017. With Danish Brewer Thomas Bilgram behind the brew kettel, we can be surethat there will be both experiments and good continuity for the more frequent beers they offer. How can i get a grip on all new beers? Well read the latest beer reviews and follow George Schiefer and his beer reviews at Hanoi Beer Critic to get inspiration what to order next. Detailed check-ins with pictures and thoughts from each beer. Opening in November at 181 – 185 Ly Tu Trong Street in District 1 East West Brewing Company will contribute to the Craft beer boom in Saigon.Their Head Brewer, Sean Thommen brings with him 10 years of Brewing professionally in Portland, Oregon. Portland is regarded as One of the top Cities for craft beer in the US. Brewing equipment will also be visible like at Hoa Vien Brauhaus and Goldmalts microbreweries. East West Brewing Co is a American Style Craft Brewery & Restaurant and their beers will be available both on bottle and tap. Still there is a difference between the two cities. While craft beer is booming in Saigon, it has just started in Hanoi. 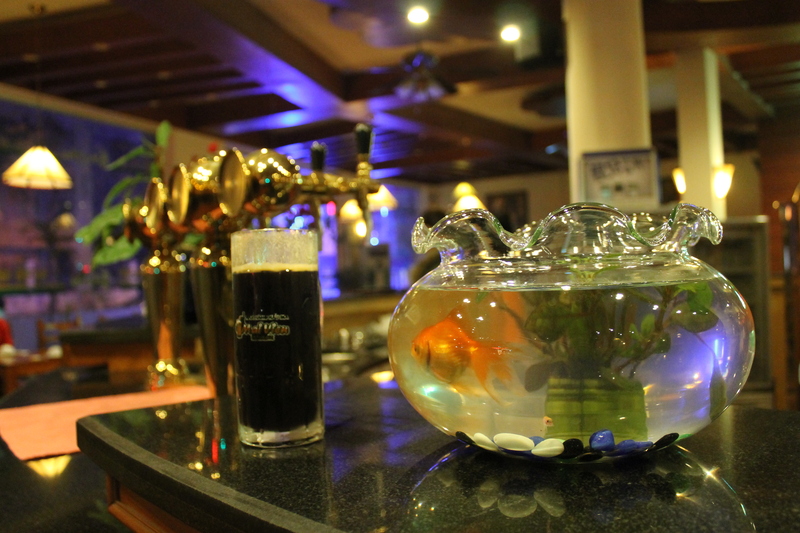 Hanoi has also a different beer culture with more Bia Hoi and about 20 microbreweries making Czech and German lagers. Craft beer pub at 26 Hang Buom opened recently in the middle of the Old Quarter and will be the place where you can get both regular lagers and craft beer on tap for a very resonable price. Craft beer Pub is not only a place for beer; late night partys on weekends and different DJ:s will make it a good spot for late summer evenings. This year will be very exciting for beer lovers in Vietnam. The first craft brewery Pasteur Street Brewing and the first brewery making ale, Platinum beer did open in 2015. 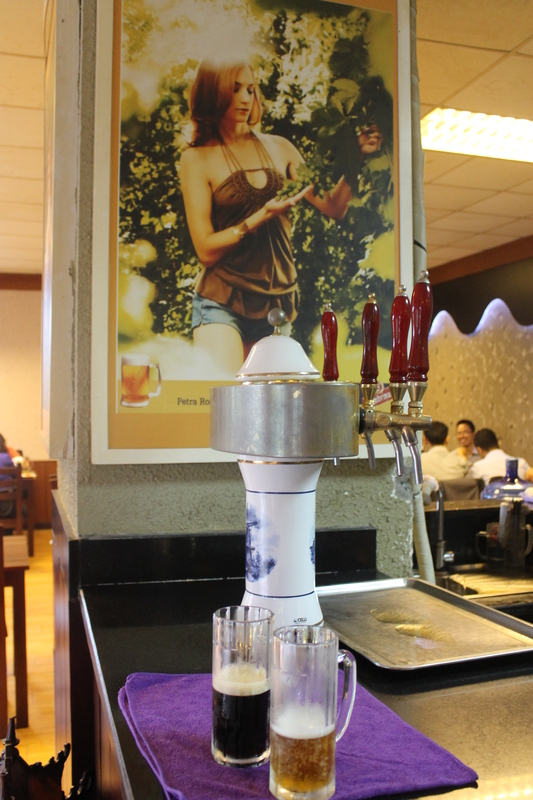 The concept with tap rooms and bars selling craft beers is also introduced to the beer loving people in Vietnam. 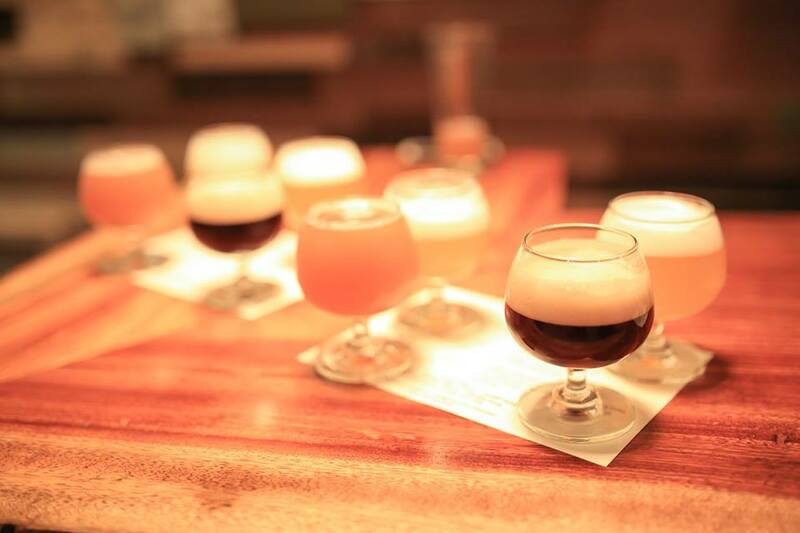 One good example is BiaCraft Artisan Ales that opened in august 2016 in Ho Chi Minh City, offering their own brewed craft beer with guest taps and imported craft beer on bottle. Bia craft are currently serving five of their own beers on tap; Đừng Chọc Tao Pale Ale, Lùn Mà Láo Blonde Ale, Xấu Mà Chảnh IPA, Biết Chết Liến Double IPA and Ngu Mà Lí Amber Ale. Vietnam in a global context. The question is if the local crowds demand for craft beer will rise fast like in Russia, where new breweries and tap bars are opening almost every month or a more moderate increase like in Germany. In Germany traditions come before curiosity and in most craft beer bars you will meet a lot of other nationalities than German. While Russian craft beer bars are dominated by Russians going nuts on all craft beer they can try. The beer industry is taken by surprise when Russia sailed up as a much more progessive nation compared with Germany when it comes to craft beer. What will happen in Vietnam? As it is right now, the beer market is moving very slowly when it comes to variety despite the massive volumes of beer beeing consumed. Craft beer is exploding in Russia, a few years ago it was non-existing. Now most breweries covers a wide range of styles and tap rooms can be found at more than 40 places in Moscow. Many breweries will open in 2016 in Vietnam but is it the traditional Czech and German styled breweries or craft breweries that will attract the new beer consumers. The Bia Hoi beer and bottled lagers got widely distributed during the 1950s in Vietnam. When the communism collapsed in Europe, the Vietnamese that returned home from East Germany and Czechoslovakia in the 1990s brought with them recepies and technology. That’s why there are about 45 Czech and German styled microbreweries in Vietnam. People can relate to German and Czech culture, which you can understand with all Czech and German motives surrounding the beer halls. The year of the horse, 2014 was the year of change in Vietnam. Home brewers and beer consumers was ready for a renewal. The phenomenon with beer clubs, attracting the younger crowd became widely popular and importers started to look at other beer nations than Belgium. The first craft brewery opened in 2015 by american expats and a few places started to sell craft beer despite it was five times more expensive than a local beer. The three main microbrew chains in Vietnam are Goldmalt and Hoa Vien Brauhaus with Czech beer and Legend beer with German. Some of their brew pubs are more like franchised and not part of the chain. Goldmalt have small breweries are building their own brewery systems and has recently installed a microbrewery in Japan. Legend beer have a handfull of places and have a central distribution. Hoa Vien is the only importer of pilsner urquell on keg and has put much effort on design and decoartion of their beer halls. Long Bien is situated on the other side of the Red river if you are in Hanoi city. Take a cab or local bus to the Aeon shopping mall at Co Linh street, about 20 minutes from Hoan Kiem Lake in Hanoi. This has a similar style as Legend beer in My Dinh in Hanoi with modern and fresh design. Legend beer has five places in Hanoi. Not all of them brewing on site. The oldest one at 4 Vu Ngoc Phan in Hanoi has a huge beer hall with the brewery inside. Legend beer at 4 vu ngoc phan has been in operation almost 20 years and is crowded on weekends, often with live music. 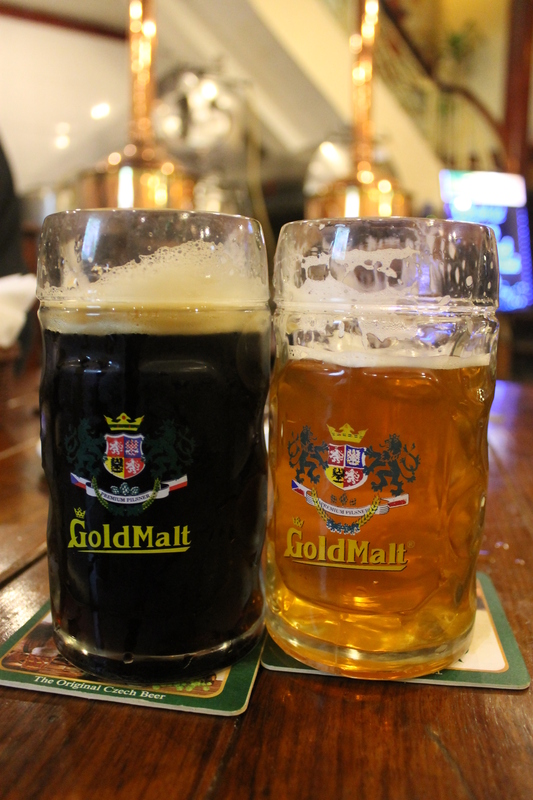 Goldmalt has many ongoing projects and a new brewery has opened outside Ho Chi Minh City. Unclear exactly where. There are also rumours that at least one more has opened in central Vietnam. The old Goldmalt, a few hundred meters from the aiport in Ho Chi Minh City has opened again. Goldmalt Tan Son Nhat is a 10 minute walk from the airport. Address: 2 Bach Dang 2,Ho Chi Minh City Vietnam. Restaurant Nhu Y (means Italian) is not new, but unknown outside Ninh Binh. Ninh Binh is a few hours drive south of Hanoi and is famous for the beautiful landscape. Beer is brewed at the restaurant and the beer style is defined as Czech lager. Address: Trang An 2, Tan Thanh, Ninh Bình. As the other local microbreweries, Czech craft beer is brewed accompanied with a extensive menu to be consumed in a big beer hall. There is also another brewery in Ninh Binh. 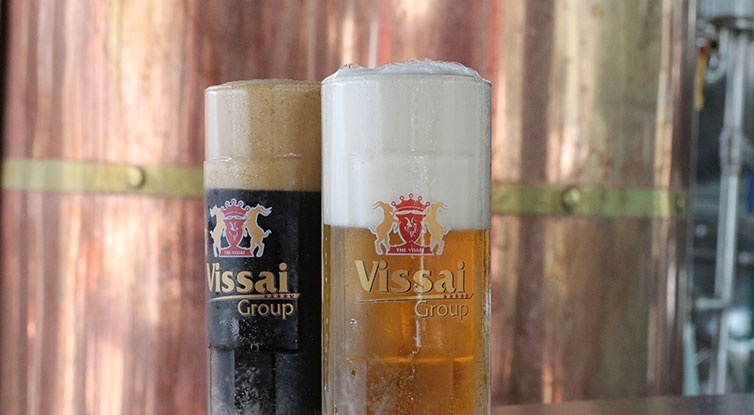 Vissai Brewery has two beers on tap and was installed in 2015. Vissai has two beers on tap and the brewery is just an arm’s lenght from your table. 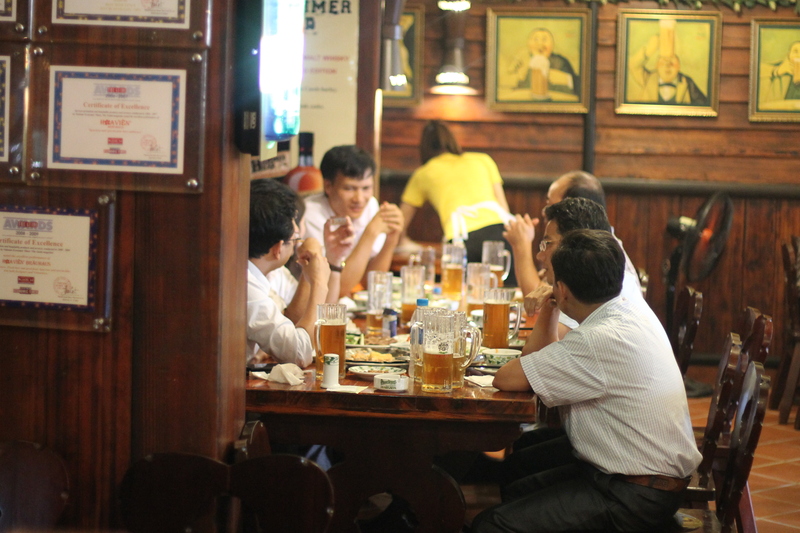 Most craft beer is today consumed by expats in Vietnam, mainly in Ho Chi Minh City. It is understandable when the average monthly salary in Vietnam is 150 US $. A glass of bia hoi costs about 30 cent, a bottled 33 cl Hanoi or Saigon beer costs 1 US $, while a glass with craft beer costs about 4 US $. This is the first book about the amazing beer culture in Vietnam. The result of more than two years of travelling and beer drinking in Vietnam. The book describes every microbrewery and brew pub in Vietnam and a few other beer establishments. There is also a interview with a brewer, history behind the beer and important facts you should know if you are having a business meeting in Vietnam. Short summaries about each place are combined with pictures and interesting facts. 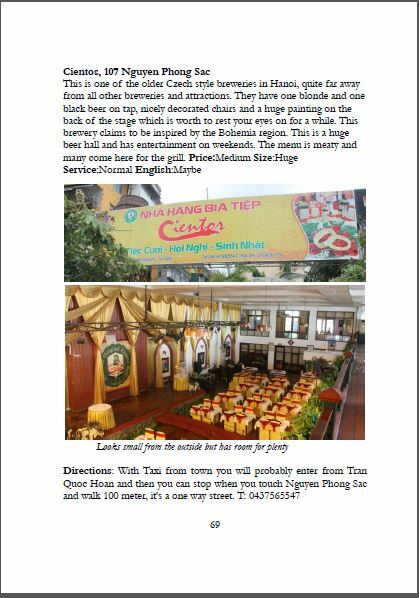 It contains details and pictures of 51 establishments all over Vietnam. It has also short descriptions of beer culture and breweries in Cambodia, Laos, Thailand, Malaysia, Singapore, Myanmar, Indonesia, North Korea, South Korea, China, Hong Kong, Philippines and Japan. Where to buy it? You can buy the book online at amazon.com or at Vulkanmedia.se , you also buy it as PDF for Kindle on amazon. It will be available in the middle of May at Bookworm in Hanoi and Zeds Threads on 51a To Ngoc Van street in Hanoi. You can see a example from page 69 in the book below and a few more pictures. Is it easy for a foreigner to find these places? It is often very difficult just to find the breweries and they do not market themselves towards tourists. 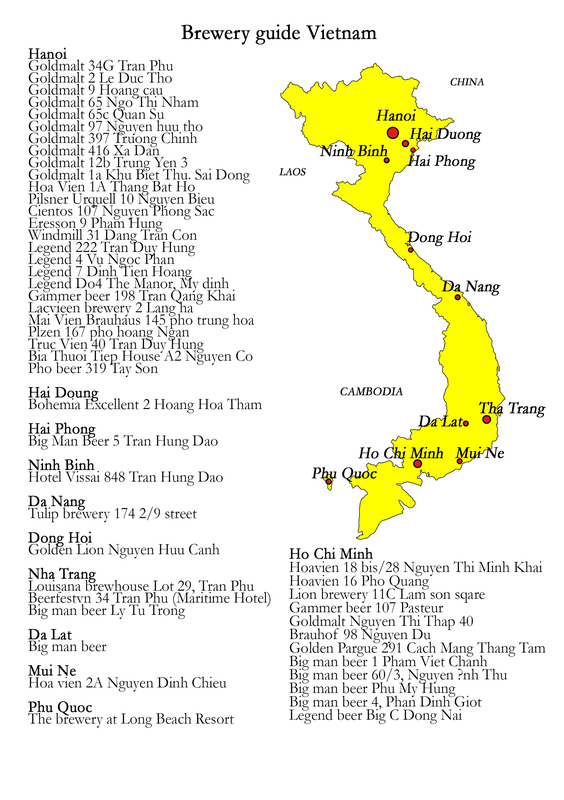 This is the first book that have listed every brewery in Vietnam. A few other guide books mentions a few of them, for example Lonely planet has listed five breweries. Most breweries just gathers the local crowd but after reading the book you will know how to drink the local way and understand the shouting and cheering that goes on from lunch time to late night. 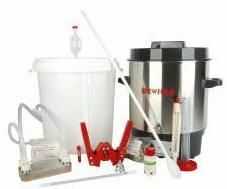 Finally, for the first time it’s possible to buy brewing equipment in Vietnam. The shop is opened by the home brewing club in Saigon. Read more about the home brewers in a earlier post here. Visit their online shop and buy everything from hops to brew kettles. Earlier you had to bring hops in the hand luggage, running through the security check afraid of ending up in a Vietnamese prison accused of smuggling marijuana. Making brewery equipment was complicated and due to the language barrier, a complicated mission. Home brewing, is it legal in Vietnam? If visiting Vietnam you will be invited by many to try their home made rice wine which is a tradition and is mostly destilled of rice. Vietnamese call it Ruou gao and is served in every restaurant. Some is industrial made but a lot is home made. It is a accepted habit to brew rice wine at home for family and friends. So it’s not a problem until you start to compete with the local beer place. 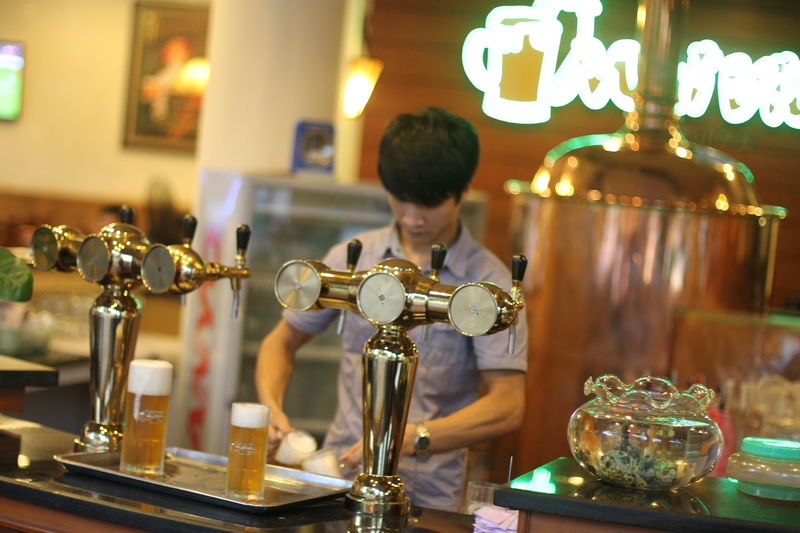 Until then, watch a short video clip of one of the bigger microbreweries in Hanoi at beervn’s youtube channel. 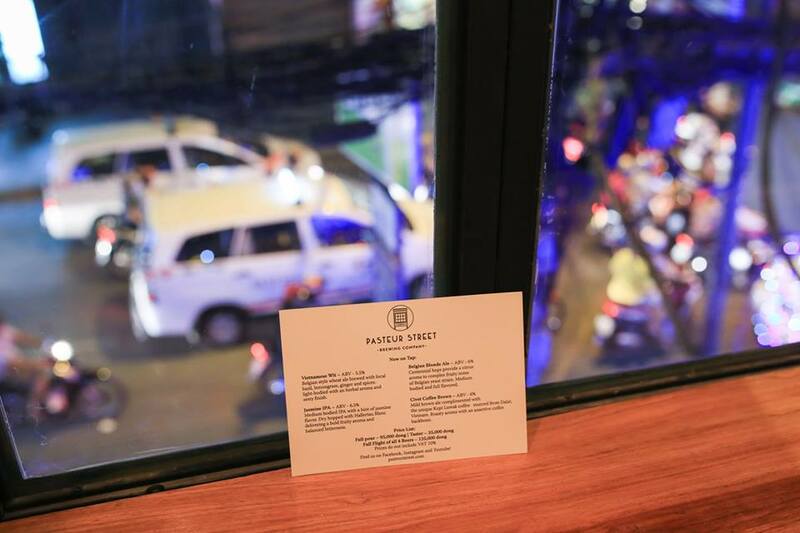 Pasteur street brewing company is the newest brewery in Vietnam and the first to produce a wide range of handcrafted beer located in the heart of Ho Chi Minh City. The team behind Pasteur street brewing company is Alex Violette and Bethany Lovato from Colorado along with John Reid; an American who has been living in Vietnam for a few years. There are many who have tried to open a brewpub like this one in Vietnam but this is the first one to succeed. It’s really difficult for foreigners to run small scale businesses in Vietnam and requires a lot of patience and a strong dedication. Alex and Bethany were working at Upslope Brewing Company in the United States which offers a wide selection of beer on tap. A few beer styles that Upslope makes are: Pale ale, craft lager, pumpkin ale, christmas ale, thai style white ale, india pale ale, brown ale, belgian style pale ale, foreign style stout, imperial pale ale and brown ale. Currently, their tasting room is the only location to try their beers which is open Friday-Sunday from 11am-10pm. The menu will change frequently and they will also debut a small food menu to pair with their beers soon. The ingredients used are a combination of local specialties and international malts and hops. As of today all breweries in Vietnam import malt and hops, only the rice is produced locally. Most pale lagers in Vietnam has a mix of rice and malt; Pasteur Street produces their beers exclusively with malted barley in order to get full bodied flavors. 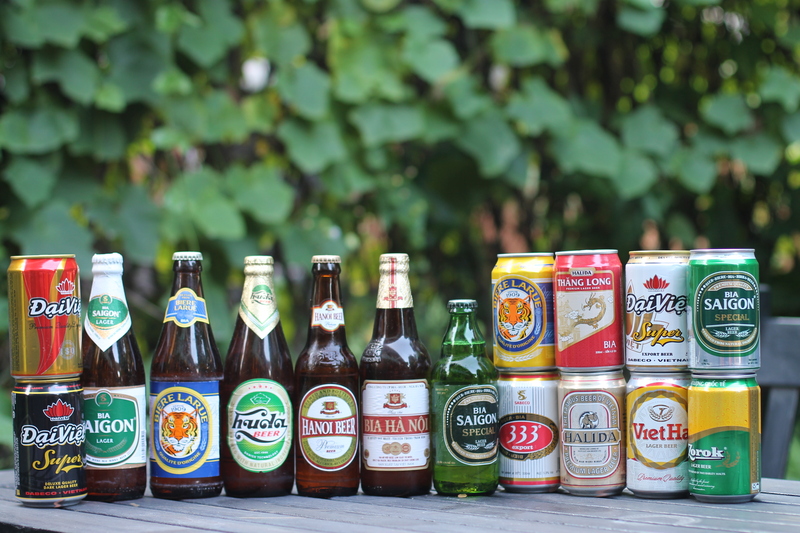 There are about 45 local microbreweries in Vietnam making Czech and German style lagers but the trend with Ale and IPA (India Pale Ale) has been waiting until 2014 to make its entry into the beer history in Vietnam. The first brewery that had an Ale on tap in Vietnam was Luoisiane Brewhouse in Nha Trang and the second was Platinum ale that came out with the first mass (delivering to more than 10 places) produced ale in Vietnam 2014. Platinum ale can be found at many beer clubs in Ho Chi Minh City. Pasteur brewing Company is the first one that serves several different beer styles on tap with a more experimental approach. Pasteur Street brewing is added to the Vietnamese beer map below and expect to hear more from them later on. 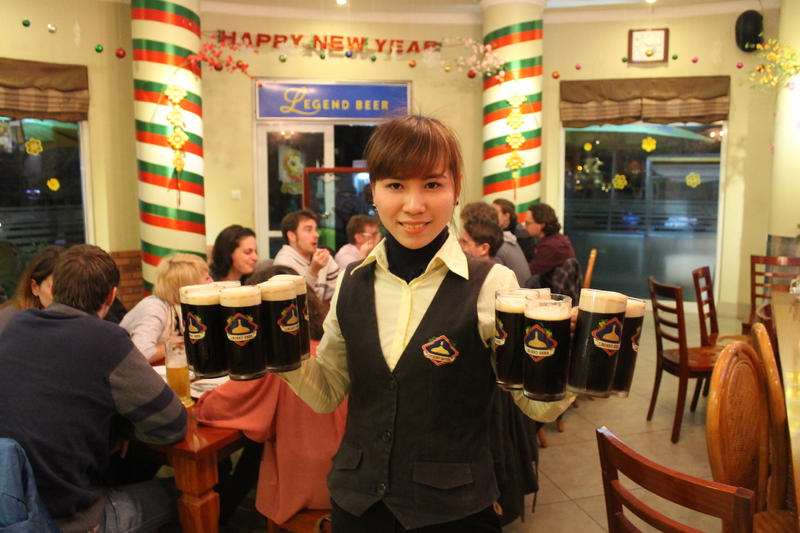 A frequent question about beer in Vietnam is if you can get hold of a Guinness or any other stout or porter. But why drink a expensive imported beer when you have many tastier local beers with more malt and taste? There are many microbreweries that make black beer with imported malt and hops. Black beer served at Legend Beer (German style brewery) in My Dinh, Hanoi. Local commercial beers in Vietnam There are a good number of locally produced lagers in Vietnam that you can get on both can and bottle. The only commercial black beer in Vietnam is Dai Viet super on can which is a black lager, easy to find at most supermarkets like Fivi Mart or Big C. You can also find Guinness on 33 cl can at some of these places. But the best option is to visit one of the local microbreweries in Vietnam for a tasty black beer. The beers above are the most common “local” commercial beers produced in Vietnam. 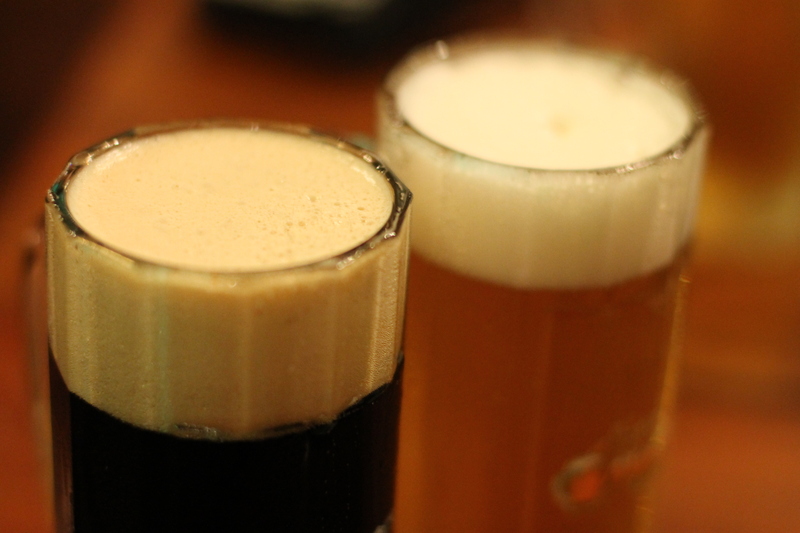 Top five best black microbrew beers in Vietnam There are about 45 microbreweries in Vietnam and most of them produce a blond and a black beer. 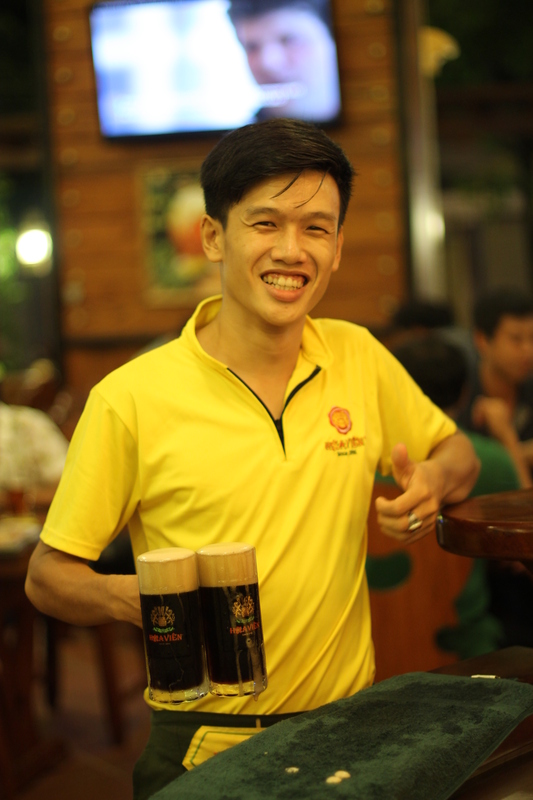 All black beers in Vietnam are made of black malt, chrystal malt and pilsner malt imported from Czech Republic, Austria or Germany. The amount of malt is higher than in a Guinness and has stronger notes of coffee and chocolate. Here is a list of microbreweries that make really good beers. You can only get the beer direct from the tap, none of them have cans or bottles. There are many more black beers to try but these are the strongest and most full bodied. 1. Hoa vien Brauhaus at 16 Pho Quang, Ho Chi Minh City (Czech style beer) There are five Hoa Vien Brauhaus in Vietnam, two in Hanoi and one in Mui Ne. 2. Goldmalt at 65 Ngo Thi Nam Hanoi ( Czech style beer) There are 11 Goldmalts in Vietnam, 10 in Hanoi and one in Ho Chi Minh City. 3. Bidega at 848 Tran Hung Dao, Ninh Binh (German style beer) This is the first microbrewery in Ninh Binh and opened 2014. 4. Mai Vien Brauhaus, 145 Trung Hoa, Hanoi This brewery makes two full bodied beers and can sometimes have three beers on tap. 5. Bia Tuoi Tiep at house A2, Nguyen Co Thach, My Dinh district Hanoi This microbrewery is situated about 10 km from the old qaurter in Hanoi. 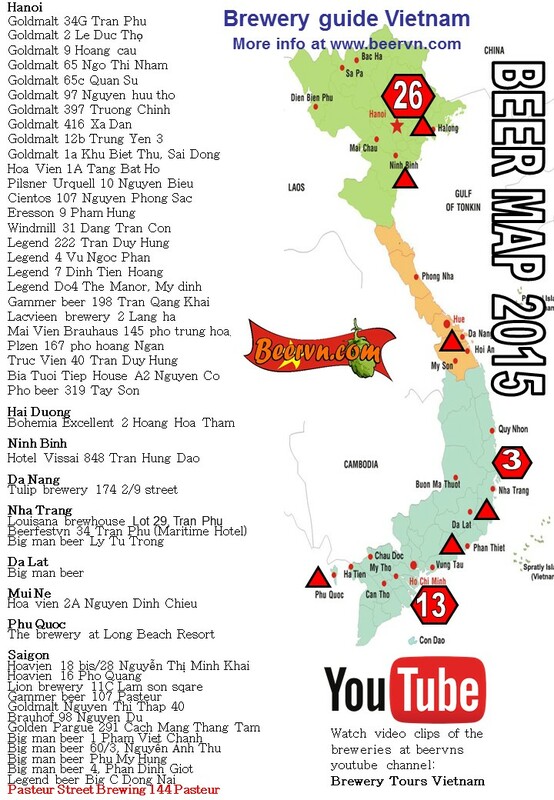 For a more information about location take a look at each brewery on Beervn.com’s youtube channel. Here is a short clip from Bia Tuoi Tiep in My Dinh, Hanoi.